Ready to get your education on in Tampa? Whether you’re a new college student looking for a conveniently located place to live or someone returning to student life for a career change or advancement, the search for the best rental community can be challenging. Here are the best apartments in Tampa near schools. The Commons offers two-, three- and four-bedroom units in the Oak Grove neighborhood. The lush property features plenty of green space and is close to Egypt Lake Recreation Center where kids can play. Egypt Lake Elementary School and Egypt Lake Partnership Library are right across the street. Novus Westshore not only offers comfortable amenities, such as resort-style pools, fire pits and high-end finishes in the kitchen and bathroom, but it’s also a walk-to for students of Concorde Career College, which fast-tracks participants in medical careers ranging from respiratory therapy to surgical technology and more. When academics get the best of you, you can opt for some unwinding in the resident game room with a full-sized golf simulator and pool table. It’s less than 10 minutes to University of South Florida (USF) by car from Park Avenue (not to mention the fun of Busch Gardens if you and your friends want to blow off some steam), where verdant landscaping and a relaxing pool can offset study-related stress. Social events will aid you in getting to know your classmates. A college student could surely do worse than the luxurious digs available at downtown’s Channel Club, where you’ll be burning the midnight oil while you enjoy skyline views of the city. You’ll also be living about 5 minutes’ drive from the University of Tampa. Don’t have a car of your own? This property’s proximity to several public transportation options make it a great option to consider. Continuing your education at Tampa’s well-known Stetson Law School? Trio at Encore is less than a mile away, well located for your needs, and also offers a great jump-off point for exploring some of the city’s most vibrant districts when you’re not loaded down at the library. Speaking of, there’s a resident library and reading area on site if you feel like relaxing at this brand-new, six-story community. At University LinQ, the convenience is right in the name. Residents here are all students at the nearby USF and while studying will certainly be a mandatory part of life, you won’t have to worry about cultivating a social scene when the folks at your apartment community are happy to coordinate resident events right on site! Those looking to further their careers in IT could benefit from the three-minute proximity to Tampa’s Center for Technology Training, which is precisely how far away Lantower Westshore apartments will put you as you work on your certifications. Residents here are also about 25 minutes from USF, which means class convenience with a little bit of space between you and that potentially party-heavy demographic. Hey, parents! Hanley Place is just minutes from the Tampa International Airport, Raymond James Stadium, shopping, dining and other pursuits. And it’s also centrally located to a host of the county’s public and charter schools, each less than a mile away. For those with their sights set on a nursing career, The Park on Waters will have you well situated from the Finlay Institute of Nursing. 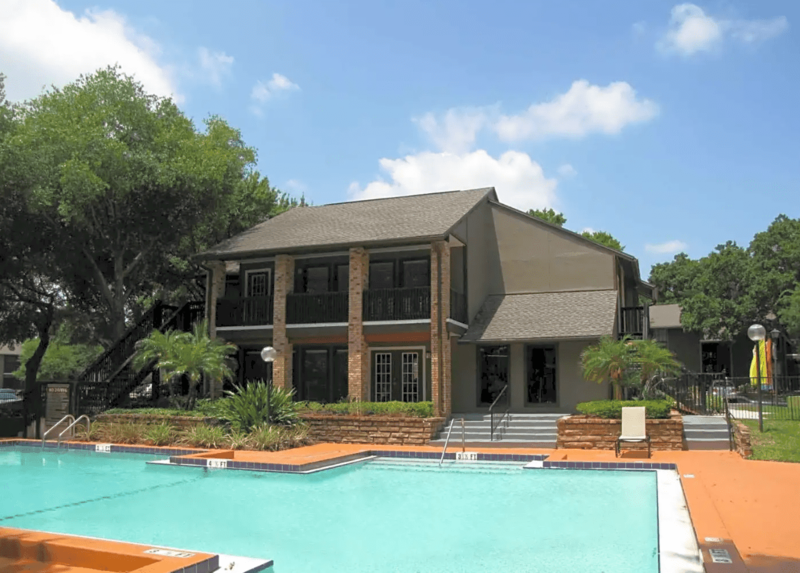 Two pools, lake views and private screened patios give student residents a taste of Tampa’s beautiful weather, which you can enjoy while studying. Indoors, you can sweat away stress on the racquetball courts. In-unit laundry means you won’t have to leave home to get your chores done – super convenient with a full class load. Artsy residents will find the stark but well-appointed aesthetics of The Warehouse Lofts infinitely appealing, and those looking to expand their skills will also enjoy proximity to Elizabeth Mitchell’s studio, where they can take classes in silk painting, collage and many other mediums. For parents, this prime Seminole Heights location is also central to several public and charter schools. We looked at all apartments in Tampa and rated them on the number of schools within a half-mile radius. We used an exponentially decreasing scale based on distance from the apartment. For instance, schools located across the street from a specific property would carry more weight than those a quarter-mile away. Our school counts come from commercially available business listings.